This Kendra Scott RING is a favorite of mine! 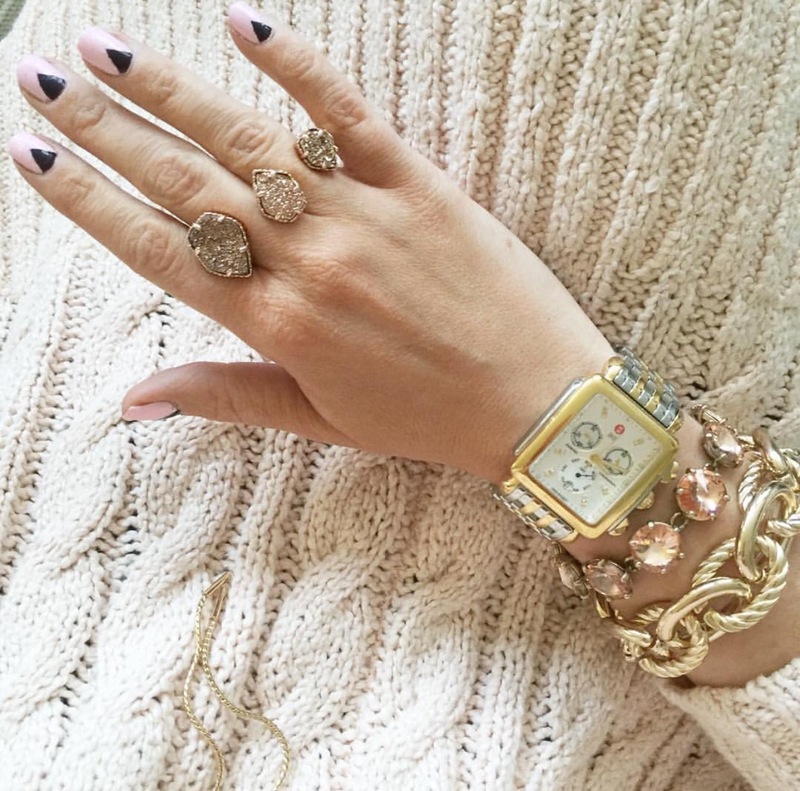 Also, I wear this Michele watch literally every single day! You can switch out the straps which is fun! I bought this mini boxwood wreath to add some festive decor around the house! Our wreath on the front door! Sale find last year! My tree this year! I kept it to red, white, and green! The sled is from Target! It is on sale and under $10! Shop it HERE. Lastly, the newest addition to our family! We adopted her at Petco this past weekend! We named her Zoe! She is so tiny, but full of personality! OMG Zoe is so adorable!! I can't wait to see more photos of her! Also loving your mani, and your Christmas decor is darling! I love your watch! I tried to find that sleigh when I was in at Target, but no luck! Your tree is so pretty and colorful. Zoe is so cute! Absolutley love that ring and your tree is gorgeous!! Your tree is so beautiful! I am in love. Your dog is so cute! Those big eyes are beautiful! 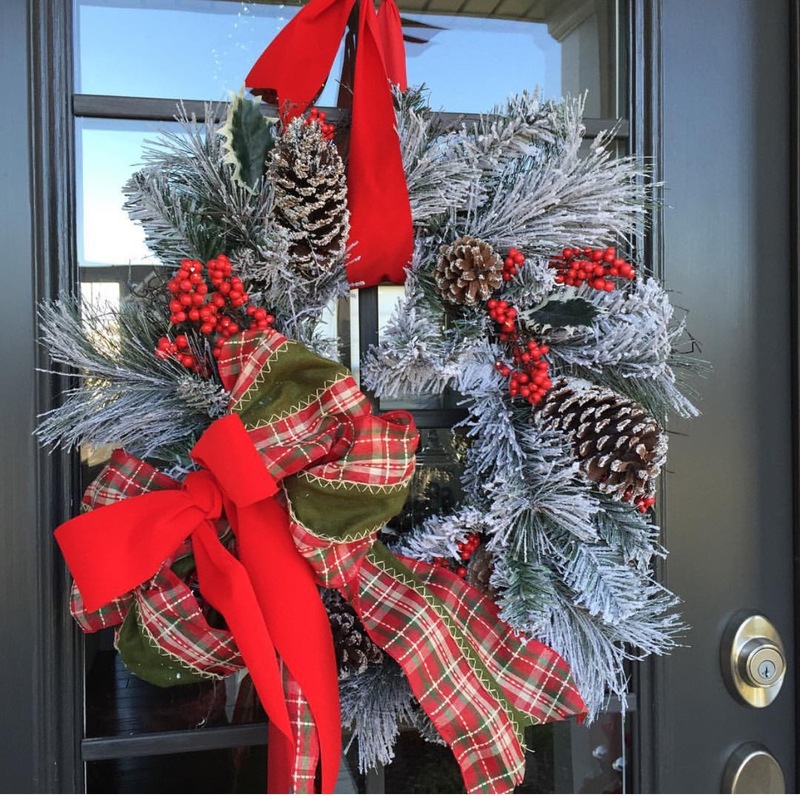 The wreath on your front door was such a great find! Your Christmas tree is so pretty! I haven't bought mine yet. Your jewelry and nails on that first photo look phenomenal. I will have to splurge on that stunning KS ring, soon. 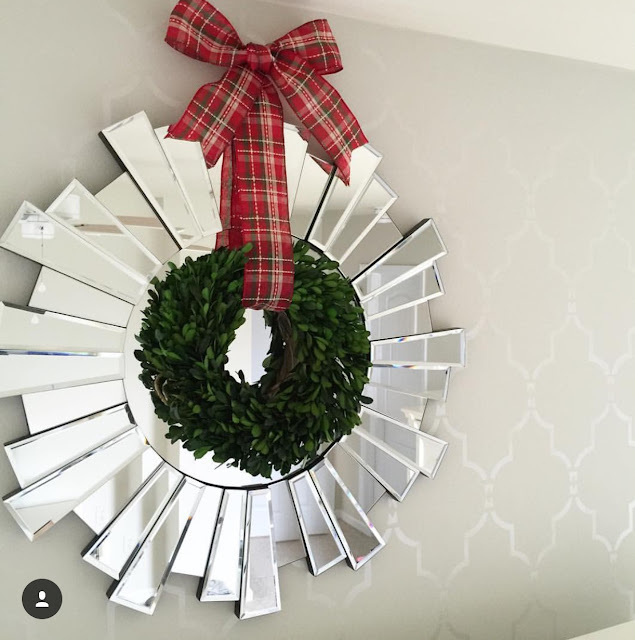 I also love how you turned the adorable mirror into a wreath. Your other wreath and the Christmas Tree are gorgeous. I also did a white tree this year for Christmas (I did a Christmas tour) but I decorated mine in purples, blues and greens. And congrats on your beautiful Zoe. I love that name. Have a fabulous weekend Jac!